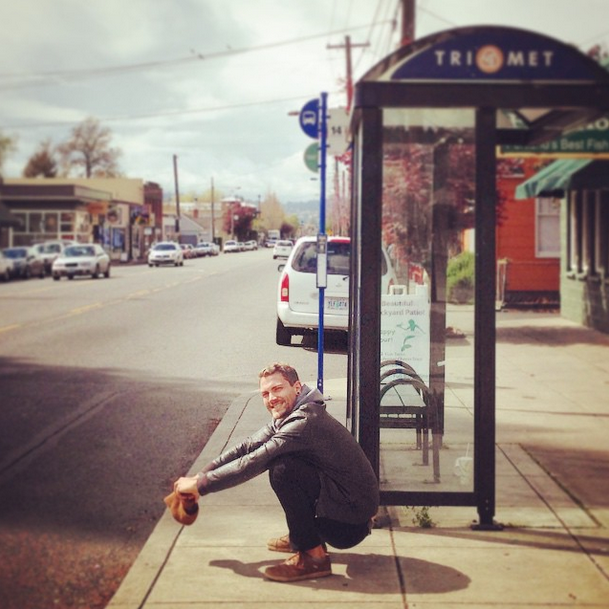 Waiting for the bus, why not squat? I’m challenging you to squat every day, for the next 30 days. Squatting is not an exercise. At least not the type of squatting we’re doing here. Obviously in the western world we’ve lost a lot of this use of the squat. And many people now cannot get into a squat, let alone comfortably rest there. That is the reason for this challenge. 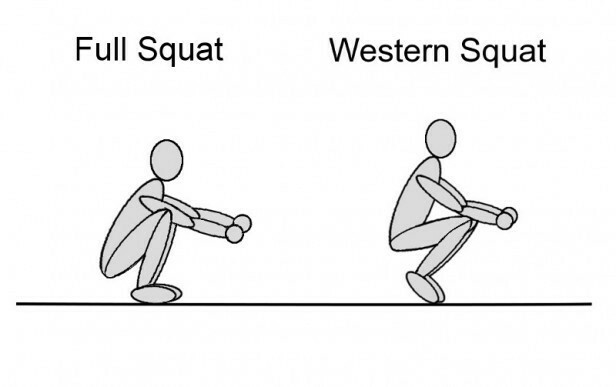 Our goal is to rehab your squat so you can begin incorporating it into your daily movement repertoire. Again, this is not a workout. This is about incorporating a natural movement pattern into your life. The goal is to accumulate 10 minutes of squatting a day. You can do this however you like, but it’s recommended that you break it up as much as possible throughout the day. Three minutes here, one minute there, two minutes here is the way to do it. If you cannot get into a full, flat-footed squat and hold for at least 30 seconds, you will need to use assistance. The first is to hold onto something in front of you like a countertop, pole, or doorframe for light assistance. Gradually use less and less assistance from your arms. Or if your squat looks like the right (heels not fully down) then put a wedge or support underneath your heels. This can be a book, or a piece of wood. The advantage of a book is you can turn the pages each day to gradually reduce the assistance. This challenge should ideally be done barefoot, or with shoes that don’t have heels. However, do it whatever way you can. Timing your squat: You can use a timer on your phone to track your progress, or a simple stop watch. Just set it to 10 minutes, and press start whenever you begin squatting. You don’t have to post your progress every day, but checking in at least once a week is recommended. I highly encourage you to take advantage of the Facebook group for encouragement and supporting each other. This is a community effort! We’re all working on reclaiming our natural movement abilities together. Your first mission is to post a picture of yourself squatting in the community area. You can use the #primalsquat tag to post your updates on Instagram and follow along with the rest of the group. Time your longest squat hold and share in the group. Why is squatting so important? Not only does squatting keep your hip, knee and ankle joints mobile, it can help stretch your lower back and elongate the spine, providing lower back pain relief. I’ve found that resting in a deep squat relieves the tension in my neck muscles. Letting my head hang here gives me an amazing stretch along the back side of my neck. Squatting is of course the way we naturally poop and relieve our bowels. When we sit while going to the bathroom, our colon gets kinked and the pelvic floor isn’t as stretch and relaxed. We’re essentially trying to force our waste through a tube with a kink in it. Try squatting the next time you go to the bathroom. Your digestive system will thank you for it. Just stop whatever you’re doing and squat. Try it out and see how you do. Don’t worry if you fall over or can’t get very deep. Keep practicing. You’ll be amazed at what you can do in 30 days. Over to you: what motivated you to join this challenge? Click here to share in the primal movement group. PS: I highly recommend getting a friend involved to do the squat challenge with you. Share this with them with one of the buttons on this page.